Enclave: How big would BP's Deep Horizon oil spill be if spilled on Nashville rather than on the Gulf Coast? 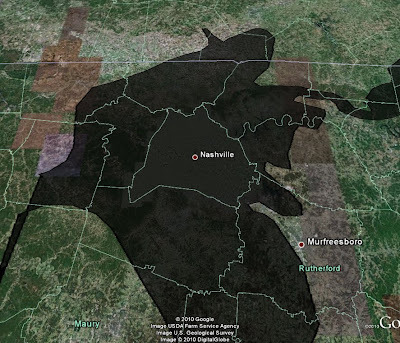 How big would BP's Deep Horizon oil spill be if spilled on Nashville rather than on the Gulf Coast? A better question is how big would it be if it took place in the English Channel? I say we bottle up this mess a drop it off the coast of Great Brittan.